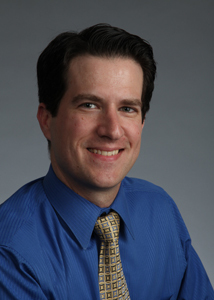 Dr. Petrolla participated in an accelerated medical school program and received his medical degree from Northeastern Ohio College of Medicine.He completed an internship in Internal Medicine and residency training in Physical Medicine and Rehabilitation at the University of Pittsburgh Medical Center in Pittsburgh, Pennsylvania, where he was the chief resident in his final year. Dr. Petrolla completed an ACGME accredited pain fellowship program at Orthopaedic & Spine Specialists in York, PA. He then practiced in Denver, CO for two years before moving back to Pittsburgh.Dr. Petrolla has been practicing medicine since completing his internship in 2004. He has special interest in spinal interventions, musculoskeletal pain syndrome, post concussive care and disc related disease.In his leisure time, he enjoys Ohio State Football, spending time with his wife, children and dogs along with cooking family recipes. Director: Michael B. Furman, M.D., M.S. Residency Director: Wendy Helkowksi, M.D. Resident Anatomy Course 2007. The Lumbar Spine. Resident Grand Rounds – Lumbosacral Radiculopathy. Petrolla JJ, Furman MB. Chapter 5 Caudal Epidural Steroid Injection. In: Furman MB, Lee TS, Berkwits L eds Atlas of Image-Guided Spinal Procedures. Philadelphia Elsevier Saunders 2013:57-62. Petrolla JJ, Furman MB. Chapter 11 Transforaminal Epidural Steroid Injection, Infraneural Approach. In: Furman MB, Lee TS, Berkwits L eds Atlas of Image-Guided Spinal Procedures. Philadelphia Elsevier Saunders 2013:105-110.